The members of the Flagler County Palm Coast Home Builders Association (Flagler HBA) is hosting their 22nd Annual Signature Event, the Parade of Homes. It is the premier residential open house event in Flagler County. 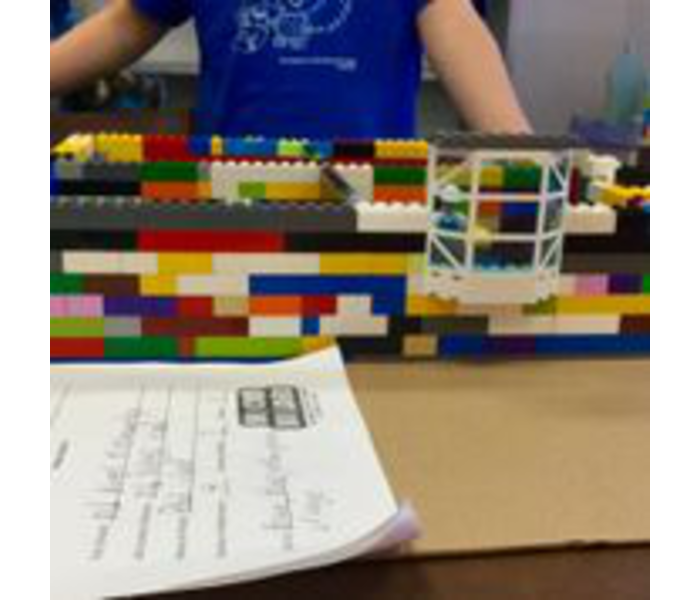 SERVPRO of Flagler County helped judge the models built by the young Brick Builders of Old King's Elementary. The Flagler HBA is proud to present homes from the highest quality builders and contractors in the area. 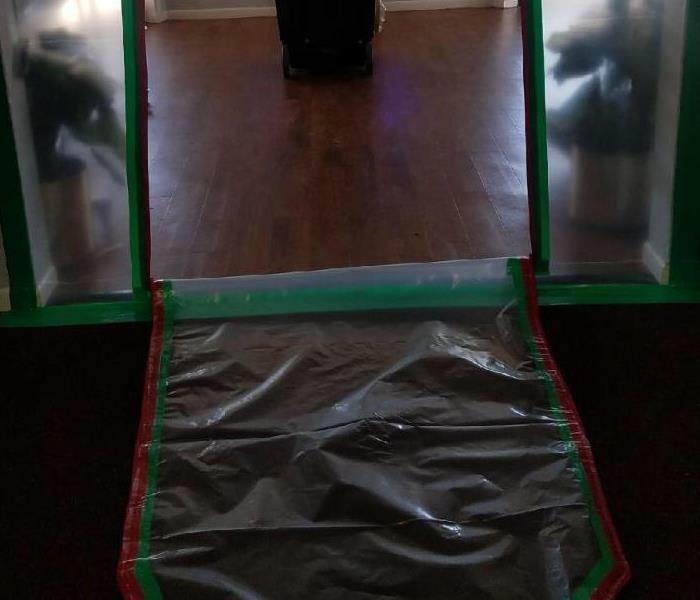 SERVPRO of Flagler County is happy to support the local community. SERVPRO Flagler would like to thank everyone that helped celebrate our 10-year Anniversary! Here's to several decades more! Special thanks to Flagler County Chamber of Commerce, Ormond Beach Chamber of Commerce, Flagler Home Builders Association, Flagler County Association of REALTORS, Daytona Beach Area Association of REALTORS®, Flagler County Realtors Young Professionals Network, Young Professionals Group of Flagler County, Young Professionals Group Ormond, Volusia Young Professionals Group, Southeast Volusia Chamber of Commerce, Staged Assets, Masterpiece Mixers Ormond Beach, HT Production Company, Fun Coast Bartending, Pyramid Disc Jockeys and Kona Ice. Did you know that January is National Blood Donor Month? 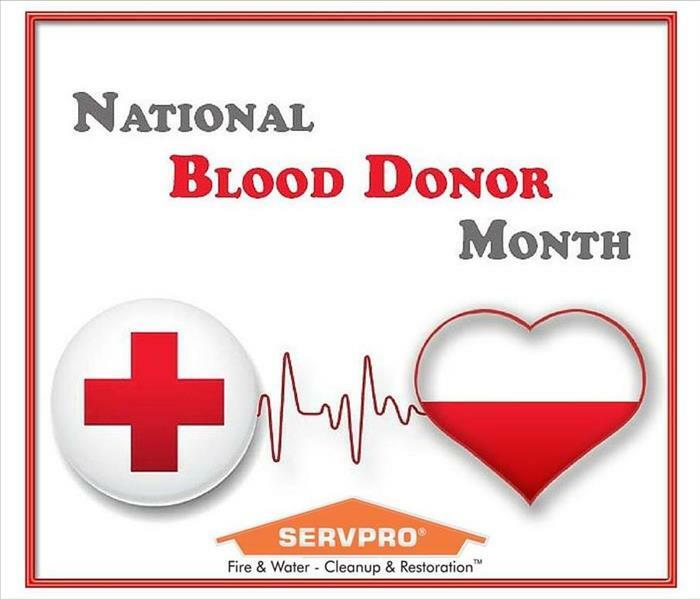 Join SERVPRO of Flagler County and all help change a life by donating blood this month and throughout 2016. Visit redcrossblood.org or call 1-800-RED CROSS (1-800-733-2767) to make an appointment or to receive more information. 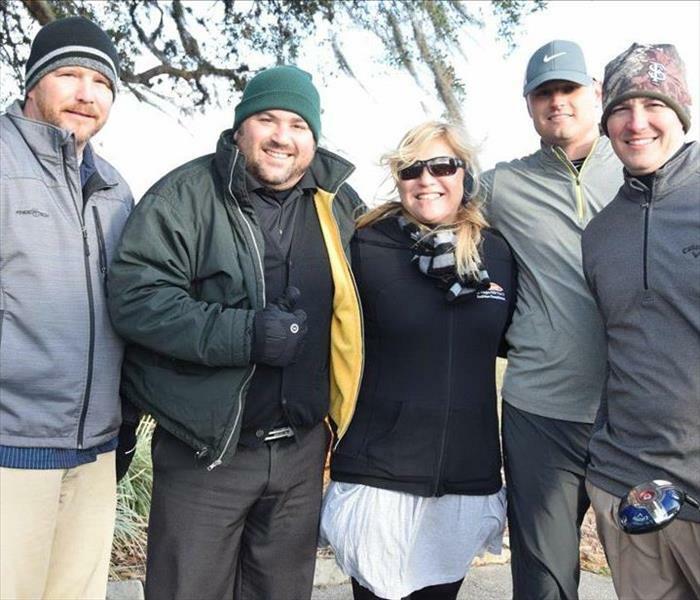 A wonderful night in the Flagler Chamber "speakeasy"
Cold morning for SERVPRO of Flagler County at the Hotel and Lodging charity golf tournament at Spruce Creek Country Club. 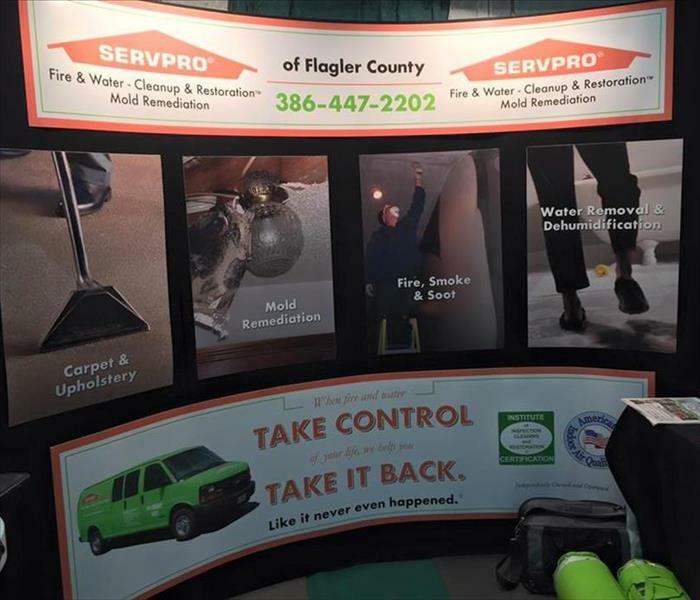 30th annual Home & Lifestyle Show at Flagler Palm Coast High School with SERVPRO of Flagler County, U.S. Exteriors, Flagler County Chamber of Commerce, Vector Security and many more. 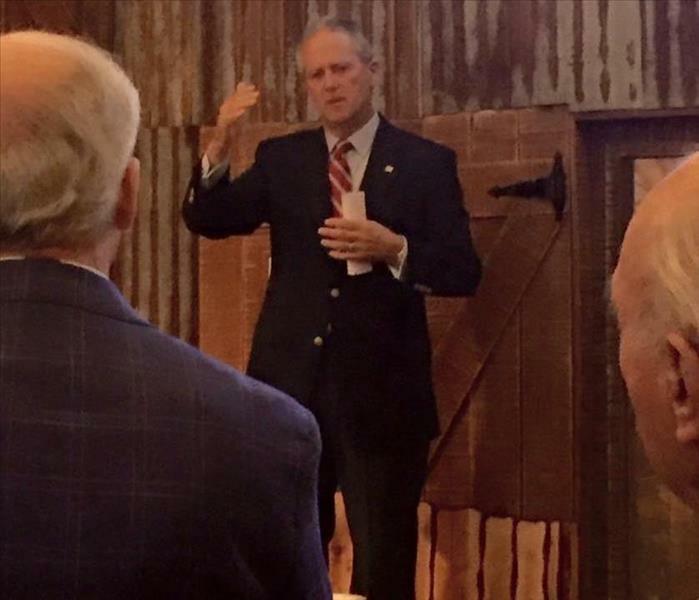 SERVPRO of Flagler county attended the Campaign Kickoff Party for Dwight Selby City Commission 2016 at RiverGrille on the Tomoka. Best of luck! 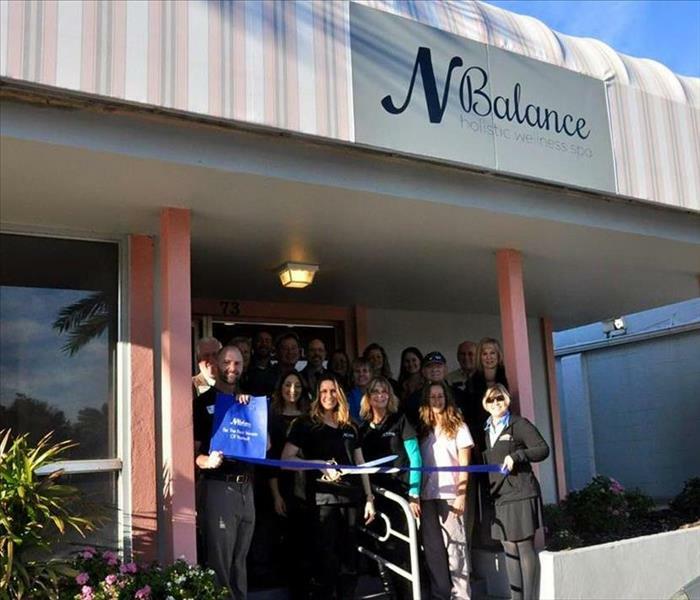 SERVPRO of Flagler County welcomes NBalance Holistic Wellness Spa to the Ormond Beach Chamber of Commerce. Joy, Mary Jane and the girls can help you Be The Best Version Of Yourself! 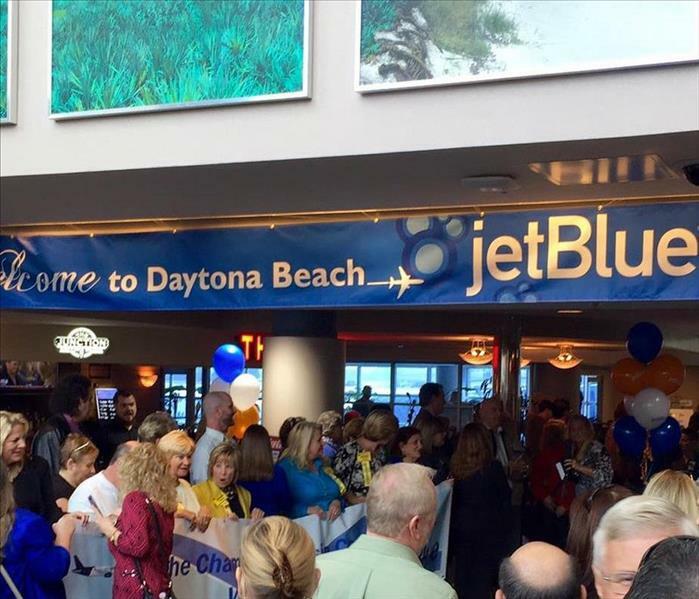 SERVPRO of Flagler county celebrates with JetBlue Airways as they are welcomed to Daytona Beach International Airport! 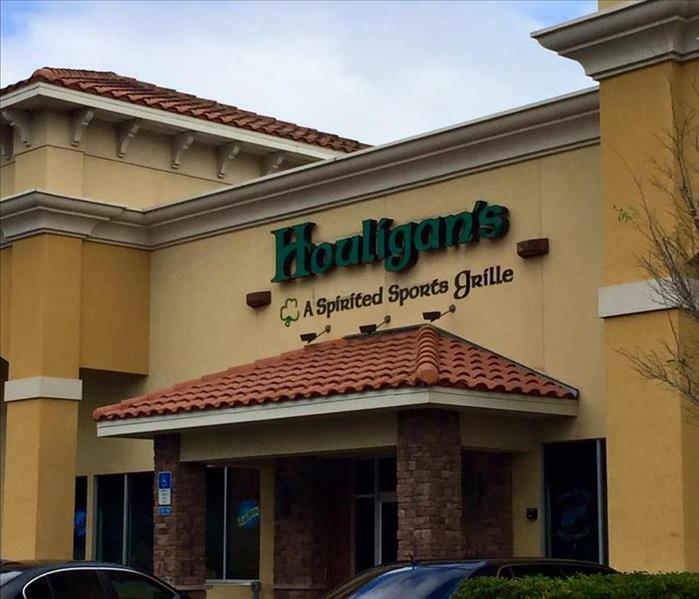 Wonderful Lunch Brunch maintaining and making new relationships with the Flagler Home Builders Association at Houligan's. 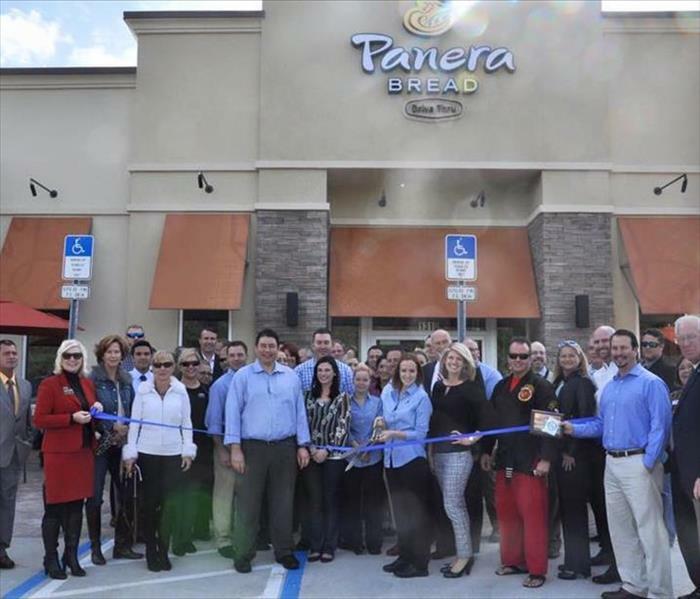 SERVPRO of Flagler County at the Ormond Beach Chamber of Commerce ribbon cutting for Panera Bread at their new location on 1310 W. Granada Blvd. Ormond Beach, FL. So yummy! SERVPRO of Flagler County was a Hole Sponsor at the Plantation Bay Golf & Country Club. Great day of golf and networking with the Flagler County Chamber of Commerce.